The kill cord, or ‘engine safety cut-out switch’ to give it its proper name, is a device used to stop the engine in the event of the helmsperson being thrown out of their seat. It consists of a length of cord or plastic wire connected to a kill switch on the engine or dashboard of the boat. One end of the kill cord has a plastic collar to hold the switch open, the other has a clip on it, which can be attached directly to the helmsperson’s lifejacket, or made into a loop which is then passed around their wrist or thigh. 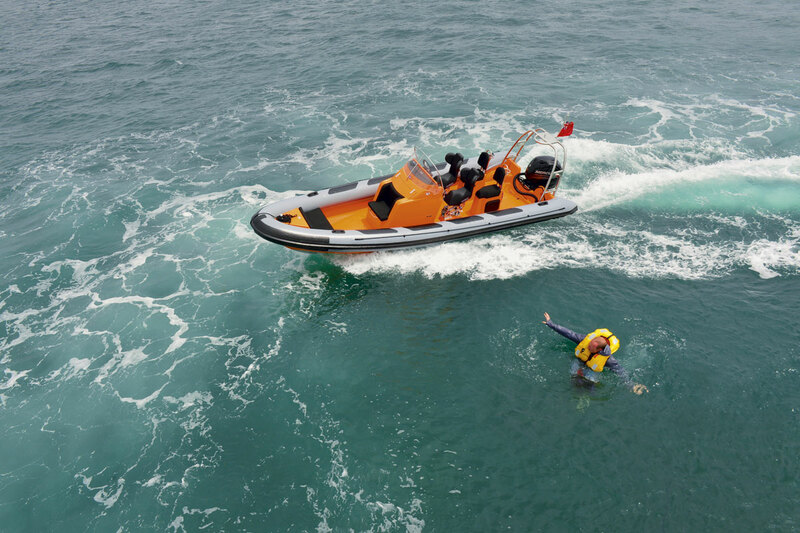 If the helmsperson is thrown from their seat by a sudden manoeuvre, such as hitting the back of a wave or a sudden loss of grip at the stern, the kill cord is pulled from the dash, cutting the engine and preventing further injury from the spinning propeller. Why are kill cords in the news? Because of a tragic accident on 5 May 2013 in which two people died and two more were badly injured near Padstow in Cornwall. All six family members were thrown from their 8m RIB, which then continued to circle around them killing the father and eight-year-old daughter and badly injuring the mother and four-year-old son before it was brought under control by a local ski instructor. Make sure that the kill cord is in good condition. Always attach the kill cord securely to the driver, ideally before the engine is started, but certainly before the boat is put in gear. It’s a very simple device that relies on a spring-loaded button or toggle switch to complete the electrical circuit controlling the engine’s ignition. In its natural resting position, the switch is off and the circuit is broken so the engine cannot run unless the switch is held open by the appropriate kill cord. Does every boat have a kill cord? No, large boats with inboard engines and deep cockpits rarely do as there is little likelihood of the helmsperson being thrown overboard. It tends to be smaller, faster open boats such as RIBs, sportsboats and tenders that have them fitted. Are RIBs and sportsboats legally required to have them? Remarkably there is no legal requirement for a kill cord to be fitted to any kind of boat in the Recreational Craft Directive (RCD) – the safety standards to which all boats in the EU have to conform. This may be because of the difficulty of defining what type of boat does or doesn’t require a kill cord. Any attempt to base it on size or speed would appear arbitrary. The only mention of outboard engines in the RCD states that: “All boats with outboard engines shall have a device to prevent starting the engine in gear. “The exception to this is for engines either producing less than 500N of thrust, or those which have their thrust limited to 500N at the time of starting”. This is very different to a kill cord, which not only prevents the engine being started when it’s not in place but also cuts the engine when it is removed. Despite the lack of boatbuilding legislation, every outboard engine manufacturer we spoke to does supply a kill cord with every engine sold, whether it’s for a 2hp tiller-steered tender or a 350hp 50-knot RIB. 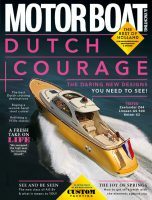 Most manufacturers of sportsboats and RIBs powered by inboard engines also choose to fit them. 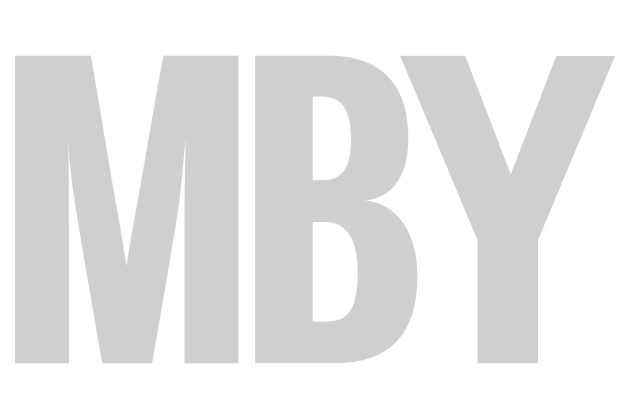 Although no engine manufacturer would openly admit it, the most compelling reason is likely to be the threat of litigation. The US is by far the biggest market for outboard engines and sportsboats, it is also the litigation capital of the world. If it could be proved that boat and engine manufacturers were aware that such a device would help prevent deaths and injuries but chose not to fit it, they could risk being sued by surviving relatives or victims of this type of accident. You only have to look at the case of American Jacob Brochtrup, who successfully sued Brunswick for failing to fit a propeller guard after his friend Patrick Houston accidentally reversed over him in the Sea Ray 176 they were using. He won $3.8 million dollars on the basis that Brunswick had failed in its duty of care by not fitting a propeller guard as standard. Are you legally required to use a kill cord if fitted? There is currently no legal obligation for leisure boat owners to wear a kill cord even if it is fitted to the boat they are driving. However, there may be a clause in your insurance policy which requires you to operate the boat in a safe manner and which could potentially count against you in any litigation proceedings related to an insurance claim. Commercial operators fall under a different code of practice and are required to wear a kill cord when fitted. What does the RYA have to say about the use of kill cords? “That you attach the kill cord around your leg, rather than your wrist (to avoid it becoming tangled in the steering or throttle mechanisms). “That you should not clip it to any clothing or lifejacket, which could rip or become detached from the driver instead of from the dashboard switch. “That you should not attempt to extend the length of the kill cord to give greater freedom of movement around the boat. Why are some people not wearing kill cords? 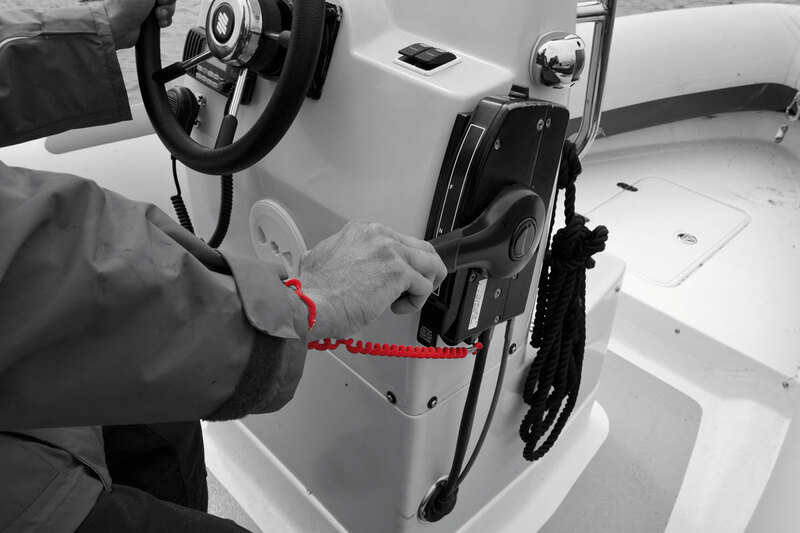 A significant proportion of boat owners are either ignoring, forgetting or deliberately choosing not to wear the kill cord in certain circumstances. You only have to look around you in any marina or popular anchorage to see people bombing around in tenders and sportsboats with the kill cord clearly dangling from the outboard engine’s tiller or the boat’s dashboard. 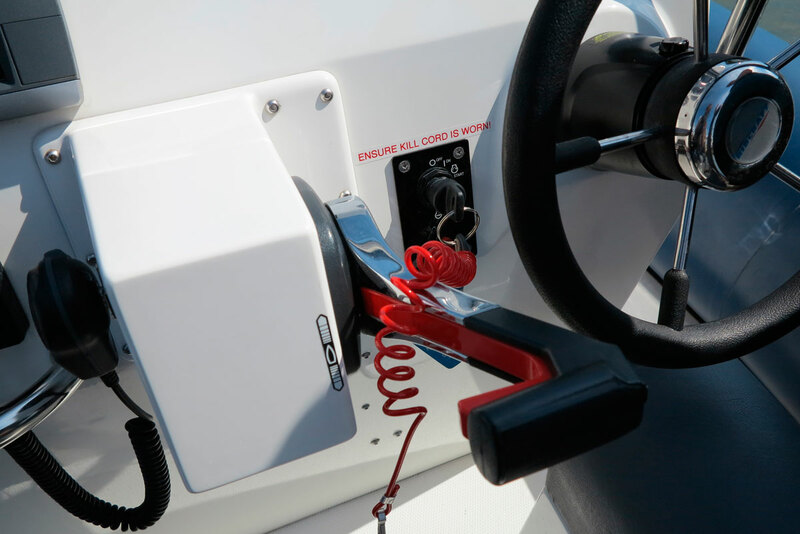 Even many experienced and safety-conscious boat owners will admit to certain occasions, such as manoeuvring around a marina, putting out fenders or checking fishing lines or ski ropes, when they have chosen to detach themselves from the kill cord and leave the engine idling in neutral. Interestingly the RNLI does not use kill cords on its inshore lifeboats and RIBs precisely because it limits crews’ ability to move around the craft at short notice, although the boats are all fitted with sprung-hand throttles that return to idle when released. Is it ever safe to leave the engine running without wearing a kill cord? Not really as there is always a risk that a child or guest could accidentally knock the engine into gear, dumping the only qualified helmsperson into the sea. This has become increasingly likely with the advent of fly-by-wire throttle controls, which have a very light action and lack the manual safety lock-outs fitted to the previous generation of cable controlled engines. In the UK at least fatal accidents such as this are relatively rare. From 2005-2013 the Marine Accident Investigation Branch has recorded seven fatalities caused by people being thrown from a boat while not wearing a kill cord and then being run down by the same boat. That is still seven deaths too many in most people’s books, especially since the chances are they all would have survived if the helmsperson had been wearing a kill cord. There were a further 11 people injured during that same period in similar circumstances and a total of 19 other incidents of vessels continuing out of control because a kill cord was not properly connected and/or used. However, even this number is likely to be the tip of the iceberg as there is no requirement for non-commercial vessels to report incidents of this kind and only limited requirements for small commercial vessels. A trawl through the Maritime and Coastguard Agency (MCA) website for example turned up no less than three such incidents in a single month during August 2010. To find out what other options are on the market, read our feature on kill cord alternatives.